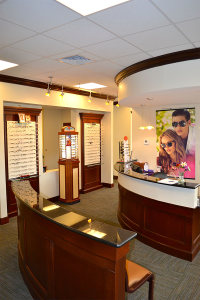 Thank you for your interest in Griffey Eye Care, located in the Greenbrier area of Chesapeake, VA. Our convenient locations allows us to accept patients from the South Hampton Roads area of Virginia, as well as the Northeastern area of North Carolina. From Moyock & Currituck in N.C., take 168 (Caratoke Highway) to Chesapeake, VA.
From Elizabeth City in N.C., use US-17 (Coastal Highway) to Chesapeake, VA. Please click the button below to Request an Appointment with one of our experienced eye care specialists. We are happy to serve the residents of Coastal Virginia and Northeastern North Carolina.